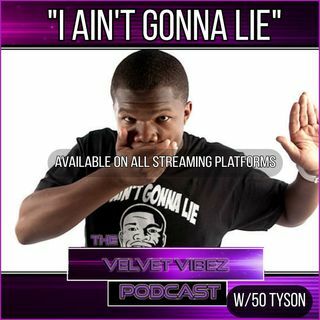 We Interview The One & Only 50 Tyson. That Is Right The Youtube Sensation! The Velvet Crew Discusses Their Thoughts On Robert Kraft? Velvet Rubs The Crystal Globe To Tell The Future Of The Case. We Even Go Down Memory Lane & Discuss Working Fast Food & How We Felt About It. Can You Grab Your Girl Fanny When ... See More You Feel Like It???? Do Women Strategically Help Other Men To See That Fanny? All Listeners We Thank You For Tuning In Continue To Support Us. We Are Only As Great As Our Fanbase Allows. So Let's Laugh, Cry, & Laugh Again Together. We Appreciate You All & If You Want To Call & Tell Us Your Story Go Ahead & Leave A Message, We Accept Feedback, Requests For Advice, Or Just Tell Us What You Going Through You Just May Be On The Show!